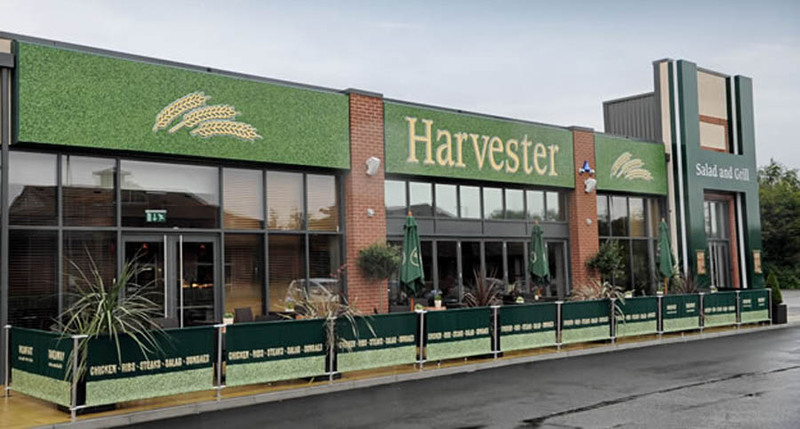 Harvester also offers a healthy Young Guest menu, making it easier and more enjoyable for children to get their five-a-day. Itâ€™s the ideal place for those that seek genuine value in a warm and friendly atmosphere, whether for a family meal, a relaxing drink or a bite to eat with friends. Freshly prepared main courses on Harvesterâ€™s Salad & Grill menu, and the famous Harvester Salad Cart. The menu gives guests the option of picking their own grill, sauce and side with 1,575 combinations to choose from. Complete Earlybird meals are also available all day everyday.